To mark the closing of Lost Man Creek in March, Spencer Finch and the Public Art Fund will host a free, community tree giveaway of the young Dawn Redwood trees featured in the exhibition. Available for adoption, trees range from 1 to 4 feet tall and will be potted with instructions for care. Additional trees will be donated to organizations across New York State including NYC Parks, The Trust for Governors Island, Prospect Park Alliance, Kids Escaping Drugs (KED), and more. Thought to be extinct, the Dawn Redwoods were rediscovered in the 1940s in central China. The seeds were reintroduced to the United States in the late 1940s and now flourish across the country. Under the right conditions these trees can grow five feet a year, reaching up to 130 feet or more when fully mature. They are also commonly cared for as bonsai trees and house plants. Lost Man Creek, which opened in October 2016, is a miniature forest. But rather than growing naturally and of its own accord, this undulating landscape populated by some 4,000 Dawn Redwoods is a recreation. Finch partnered with the Save the Redwoods League to identify a 790-acre section of the protected Redwood National Park in California. 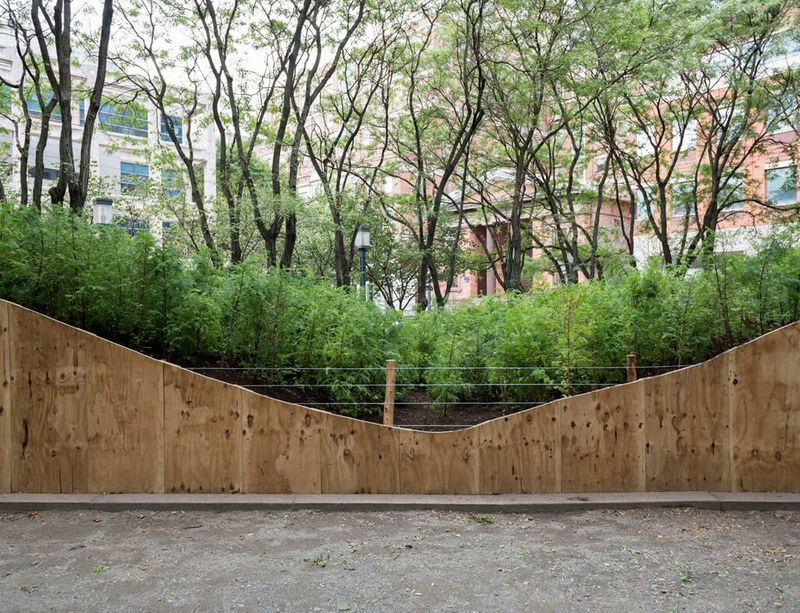 Significantly scaling down the topography and tree canopy heights, he reimagined this corner of the California forest for MetroTech in Brooklyn, New York at a 1:100 scale. For more information on the event, visit Public Art Fund's website. Photo by Timothy Schenck; Courtesy Public Art Fund.